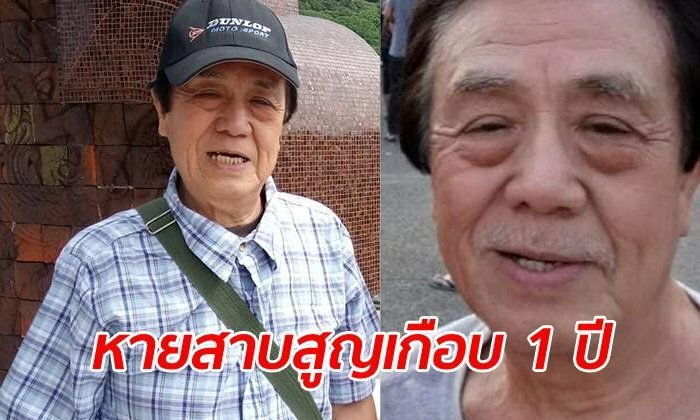 The family of a Japanese octogenarian who went missing on Doi Inthanon nearly a year ago have not given up hope of finding their father. Son Shinya Nakamura went on Facebook to offer a reward of 50,000 for information that might locate his father, Kinya Nakamura, 82. They became separated while visiting a flower garden on Doi Inthanon, Thailand's tallest mountain, on April 9th last year. A five day search in a 4-6 kilometer radius utilizing drones failed to turn up anything. A poster campaign in Chiang Mai city was also unsuccessful. A reported sighting proved to be erroneous. No hospitals have reported treating such a man. Mr Nakamura can speak his own language, English and a little Thai and is not suffering from dementia. The family are appealing for any information from anywhere in Thailand. Numbers to call are 092 270 8092, 085 140 2425 or 090 076 7005. I'm afraid there's not much hope of finding him alive after such a long time. Do they not know that 48-72 hours is a critical time-frame on a successful re-union? April 9th, 2018 and not suffering dementia, 82 years old? Finding him alive would be a miracle. I understand that they want to know the truth. This uncertainty is hard to bear. 50,000-hmmmm not much-why so little?